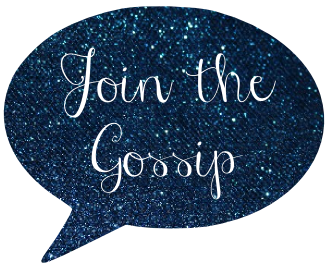 Join The Gossip: Happy Birthday...to Meeee! It's my birthday, so I am allowed to be obnoxious and post beautiful birthday inspired pictures? Right? It's not my fault, I'm a Leo and it's what we do. No really, it's true. Read about Leos below! Interesting (sad) fact: Marilyn Monroe was found murdered on my birthday. Yes, I said murdered. I firmly believe the conspiracy theories, but we'll save that for another day! Have a great night! Happy Birthday! Happy Birthday!! Hope you have a wonderful day and weekend! Happy Happy Birthday my fellow Leo! Have a wonderful day. Have a wonderful birthday Leeann! May this year bring you much more love, happiness and wealth. i know all about leos bc i am one too! and HAPPPPPPPPPPPPPPPY BDAY! you deserve to be in the spotlight the whole month :) b/c that is what leos deserve i think :) have a great day! Happy Birthday! Have fun tonight! Birthday fun times!! WOO!! Have a great day! MURDERED?! okay you're gonna have to fill me in on that one...but ANYWAY! HAPPY HAPPY BIRTHDAY LEEANN!!! i truly hope your day is splendid. you deserve all the happiness in the world...especially on your birthday. so go be obnoxious and have yourself a blast! Have a GREAT birthday Leeann! Hope you have a fabulous time tonight with your friends, be careful!!! It's my boyfriend's birthday too! wishing you the best of times!!! happy B-Day! Yay! Happy birthday!!! I hope you have a fabulous day and night out! I love the picture of that car with the pink presents on top. So cute! Enjoy your day! Happy Birthday, pretty girl!! :D I Hope you have a wonderful day and a fun weekend celebrating! Happy Birthday! Hope it's wonderful! How nice that it's on a Friday! Happy Birthday Leeann! I hope you have a great weekend! Btw, the pictures are so cute! Happy birthday, darling! I hope you have a fantastic time celebrating with friends! happy birthday leeann the leo! looking forward to those party pics. I love fellow Leos, and I totally embrace the vanity that comes along with us. :) Oddly, Elvis died on my bday! Happy Birthday doll! Hope it's a great one! Happy Birthday! Hope it's wonderful! And that you enjoy every bit of it! I love these fun images! Happy birthday, beautiful -- hope you have the greatest day! Happy Birthday! I hope you have an amazing celebration! happy, happy birthday to you Leeann! hope you had a fab time celebrating being a Leo! I love love love all of these images :) so much inspiration, happy to have found your blog! Happy Birthday! Hope you had a fabulous birthday weekend! I AM LATE, but HAPPY BELATED, darlin!!!!!!! Happy Belated Birthday I look forward to reading about your night in Hollywood!